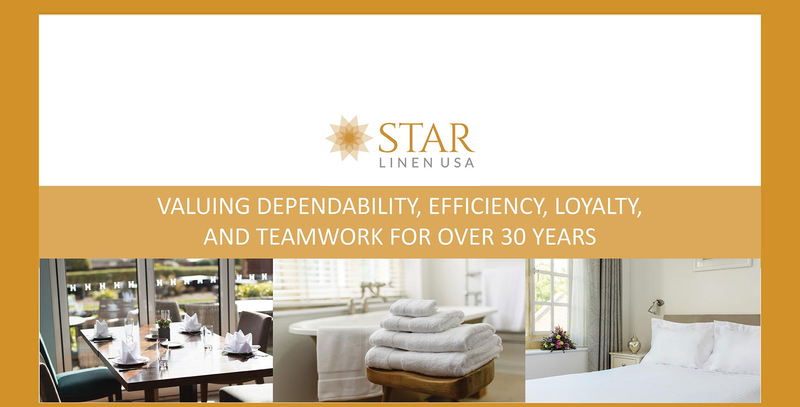 Since 1987, Star Linen USA has been providing fine linens & bedding, amenities, small appliances, paper products and much more to the hospitality and healthcare industries throughout the world. Our expanded manufacturing capabilities along with long term relationships with manufacturing partners located domestically and abroad, ensure a wide range of quality products while our strategically located distribution centers ensure quick on time delivery with emphasis on zero back-orders. However, the cornerstones of our success have always been our commitment to our customers and our dedicated associates throughout the world. 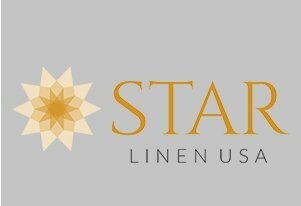 At Star Linen USA, we are extremely proud of our outstanding tradition of providing quality linen and thousands of related products to many industries across dozens of market segments including hospitality, healthcare, and the General Services Administration (GSA). 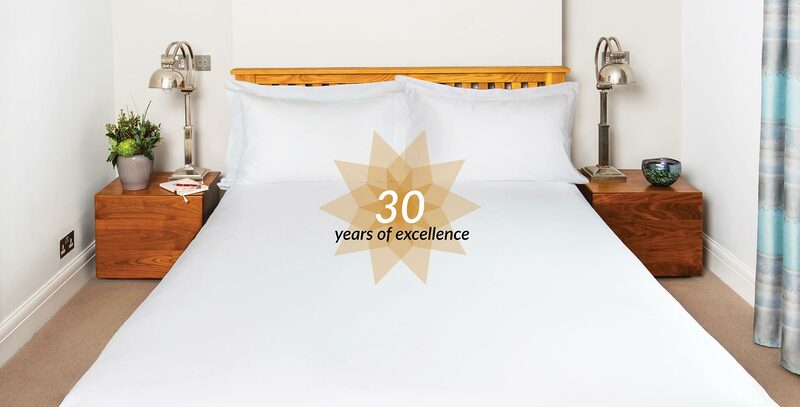 We offer a wide variety of quality linens, bedding and related products to meet all of your hospitality needs. We offer a comprehensive line of healthcare linen and related products to GPO affiliated and independent facilities. 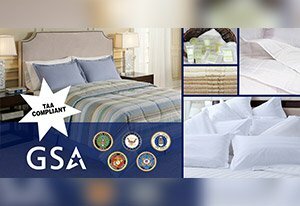 We proudly provide linen and related products to all branches and segments of the U.S. Government throughout the world including the General Services Administration, Military, Veterans Administration as well as Federal, State and County operated facilities. 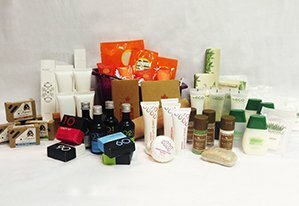 We provide a vast array of high quality amenity collections that will surely satisfy the needs of the economy traveler to the most discerning five star guest. 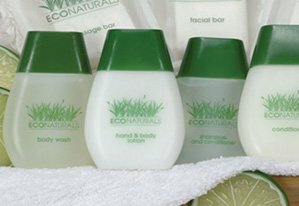 Our commitment towards preserving our environment is evidenced by our wide range of growing eco-friendly products. If you wish to know more about the benefits of choosing Star as your supplier, please contact us today. "Sed ut perspiciatis unde omnis Sed ut perspiciatis unde omnisiste natus error sit volupt accudoloremque." © 2019, Star Linen USA. All Rights Reserved.